Shes the deadliest woman in the world... and shes never been in worse shape. 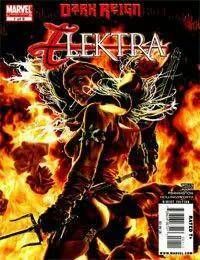 Broken, beaten, and tortured by alien scientists, Elektra stumbles to freedom in the aftermath of the Skrull invasion. Now she struggles and fights to stay barely alive, and to clear her name for atrocities committed by an impostor.